Developer of a cutting edge, peer-to-peer (P2P) distributed energy trading platform, Brooklyn, NY-based LO3 Energy is taking its show on the road – all the way to Australia as it turns out. Aiming to capitalize on ongoing growth in residential solar PV installations, LO3 and an offshoot, Transactive Grid, were the companies behind development and launch of the Brooklyn Microgrid, a community solar microgrid platform based on an instance of virtual smart contracts and an Ethereum blockchain database management system. 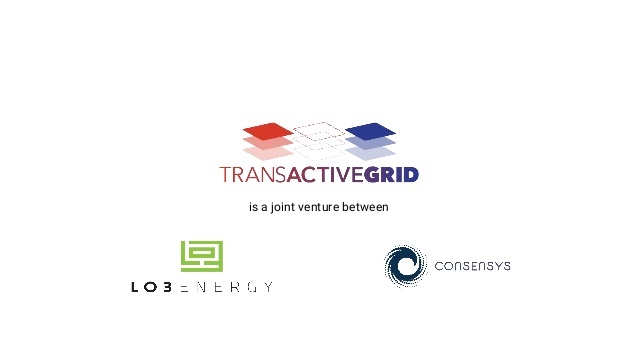 Founded in 2012 by Lawrence Orsini, a former VP of technology at Goldman Sachs, and former EcoSecurities carbon markets specialist Bill Collins, LO3 on Nov. 3 announced it is bringing the company’s Transactive Grid online platform to Australia. The company now has an office in Byron Bay, New South Wales (NSW). 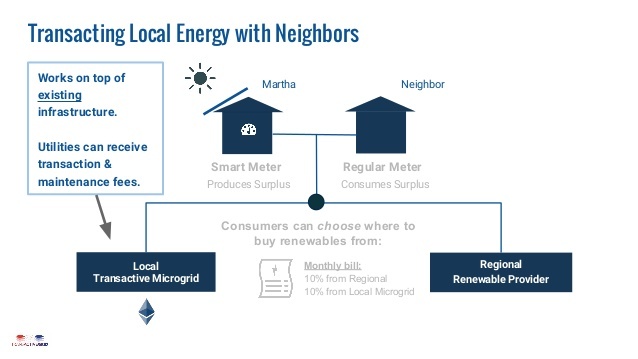 The first local, P2P-based ¨behind the meter¨ energy exchange in the U.S. took place on Brooklyn Microgrid’s Transactive Grid platform on April 11. Social and environmental activist Eric Frumin was one of the two residents counterparty to the initial transaction. “Rooftop solar power is affordable today. We need to make it easier for environmentally conscious homeowners to raise the money they need to install solar on their homes as quickly as possible,¨ Frumin said in a press statement. It appears that budding solar ¨prosumers¨ and leading edge distributed clean-tech services providers in Australia feel the same way, but we’ll just have to wait and see how this new energy ¨experiment¨ pans out. Microgrid Media wasn’t able to obtain any additional information or insight from LO3 as of press time, but a company press release sketches out what LO3 is up to as it seeks to further develop its Blockchain-based P2P distributed energy trading platform and expand its business. As such commercial promotional material is prone to be, the press release is long on hype and short on substance. Will Australia’s Utilities, Regulators Cotton to P2P Power Trading? Australia seems like a great place for ambitious solar and distributed energy technology startups to establish a market presence. Despite the vicissitudes of government climate and energy policy, residents have latched on to the idea of producing their own emissions-free electricity like hotcakes. From its new base in Byron Bay, NSW, LO3 ¨will set up consumer friendly energy platforms with secure transactions, smart meters and peer to peer payment capabilities,¨ according to the press release. In addition, management is having talks with unnamed, ¨major¨ Australian energy market participants aimed at establishing partnerships that would see demo projects being built beginning in 2017. LO3 Energy is also rolling out demo installations at sites across the U.S. and Europe, according to the company. Management aims to work with incumbent power utilities and energy services companies in doing so. Native Australian environmental finance professional Belinda Kinkead is leading LO3’s effort down under. “This is an exciting time in energy,¨ Kinkead said.